This show is packed with teachable and measurable Kingdom Principles. Here, we are dealing with life decisions, Purpose, How To, and all things relatable to living a life that is different from where you are now. Motivating, Inspiring and Empowering people to get busy with Purpose. We ask the proverbial question "How Did I Get Here? ", and peel back the layers to not only obtain the answers, but to also move from "here" to "there". Dr. Tongie Scott, a.k.a. “Dr. Tongie”, is a medical doctor who has chosen to forego practicing medicine the “traditional way” to focus on teaching Kingdom Principles that have propelled her and others to live a life that has been demonstrative with tangible, precise results. She is a well sought out motivational speaker, Radio personality with over ten (10) years of experience and soon to be author. Her uncanny ability to provide how-to, relevant and conscientious information for living a purposeful life has been regarded as a sound voice of reasoning for this generation. 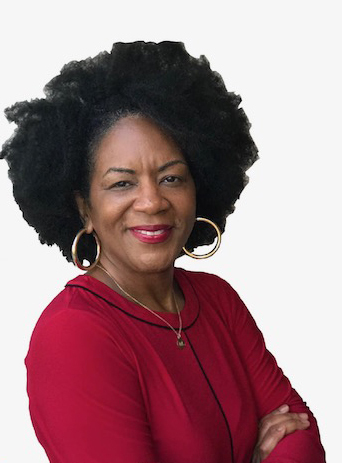 Dr. Tongie has been fortunate to teach, counsel and advise several different organizations from the American Red Cross to Diasporas on Jamaican Culture throughout the U.S. Her Biblical sound teaching has allowed her the type of successes reserved for dignitaries and heads of state. Serving on the boards of startup companies and non-profit organizations, Dr. Tongie has been catapulted into an arena where the attributes of openness, honesty and sincerity are paramount markers proven effective when dealing with people of all walks of life. Dr. Tongie has written several well-respected articles on finding your purpose in life. Her highly anticipated conferences, How Did I Get Here, have been attended by hundreds of people who desire to repair breaches in their lives relating to relationships, motherhood and continuing educational pursuits, to name a few. Ever the spiritual advisor, Dr. Tongie believes Man is made up of three divisions-Spirit, Body and Soul and that each division must be expressed in conjunction to one another. Simply put, the Sprit of a person must be the ruling force. Dr. Tongie earned her doctorate from Grace University School of Medicine in 2004. Although she is not actively practicing medicine, her quest to become an entrepreneur in the home care field, non-emergency transportation and staffing services has afforded her the opportunity to offer skilled and non-skilled medical services into over twenty (20) counties in the Atlanta and Metro Georgia areas. She works with hospitals, families of physically disabled children and home-bound seniors who otherwise would be forced to reside in institutions outside of their home and communities. When Dr. Tongie is not consulting would-be entrepreneurs, developing Spiritual leaders or serving homeless individuals on Skid Row in Los Angeles, Ca., she can be found spending time with her family and friends. Her love for writing, speaking and challenging others to rediscover their Kingdom-mandated life keeps her in daily perpetual motion.